The confetti moment is one of my favourite parts of a wedding day and it makes for a truly beautiful photograph. But are you looking for something completely unique? 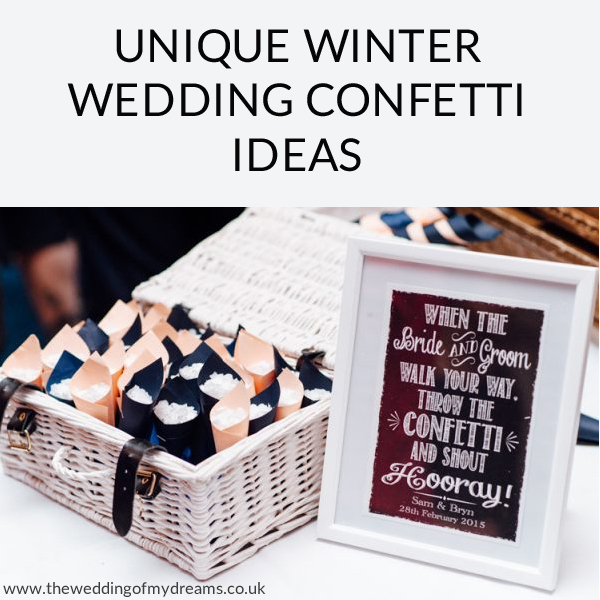 Then keep reading and discover our five favourite Winter wedding confetti ideas that are perfect for this season. When I think of Winter I immediately think of snowflakes, so they’re a fab choice for your Winter wedding confetti. White flakes will look stunning in your wedding photographs, and they create the illusion of snowflakes or snow being thrown over you. 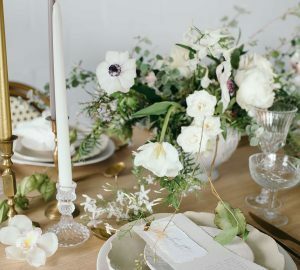 They’ll look particularly striking if you’ve created a Winter wonderland wedding theme using white, grey and icy blue as your colour scheme. 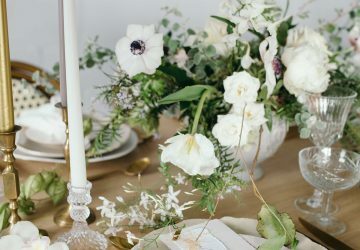 If you’re looking for a seriously unique confetti idea that your guests won’t have seen before, consider using leaves. 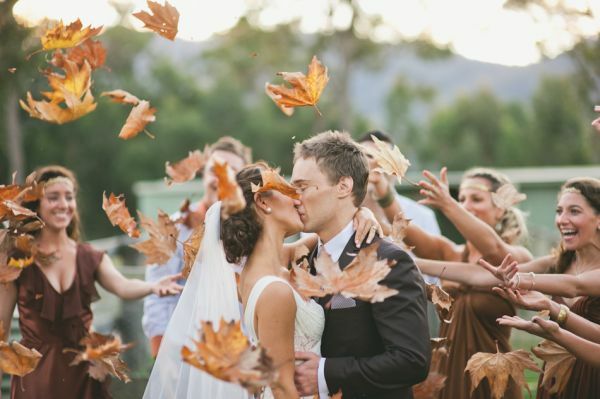 Autumn and Winter are all about golden leaves and they look incredible being thrown after the ceremony. Creating leaf confetti can be an easy DIY job for you and your partner. 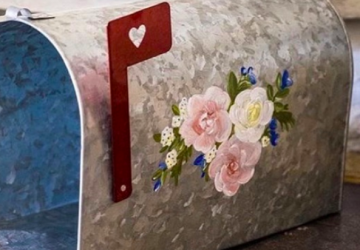 Simply source leaves and use a heart shaped hole punch to cut out shapes in the leaves. Put in cute confetti holders to hand out to your guests after the ceremony. Alternatively, consider using whole leaves to throw. This will look the most effective in your photographs. 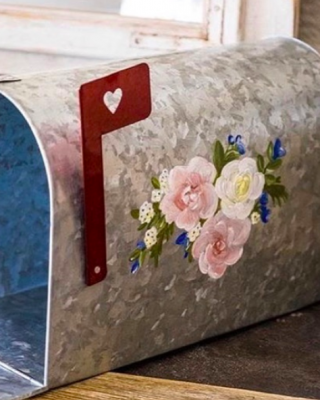 Why not use handfuls of pretty metallic glitter? This is the perfect choice if you’re planning an ultra glam Winter celebration with lots of metallic details. 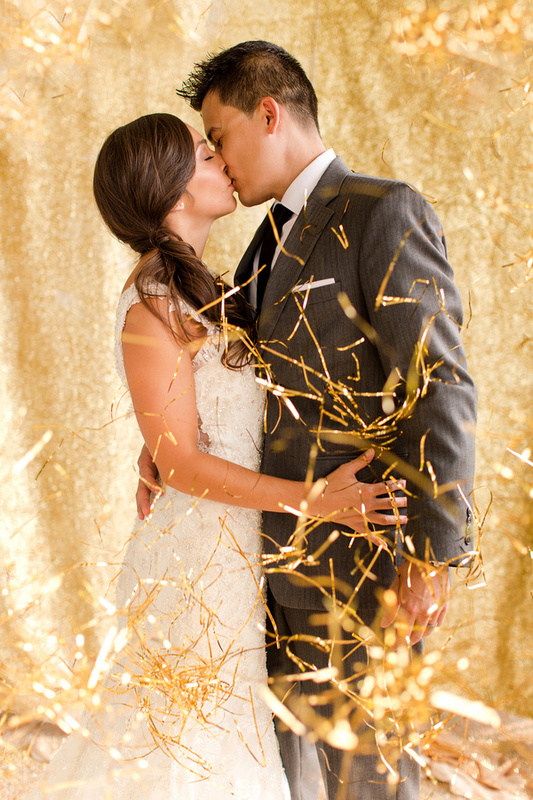 Gold or silver glitter confetti will twinkle in your wedding photographs. Star shapes will make your confetti shot look magical! 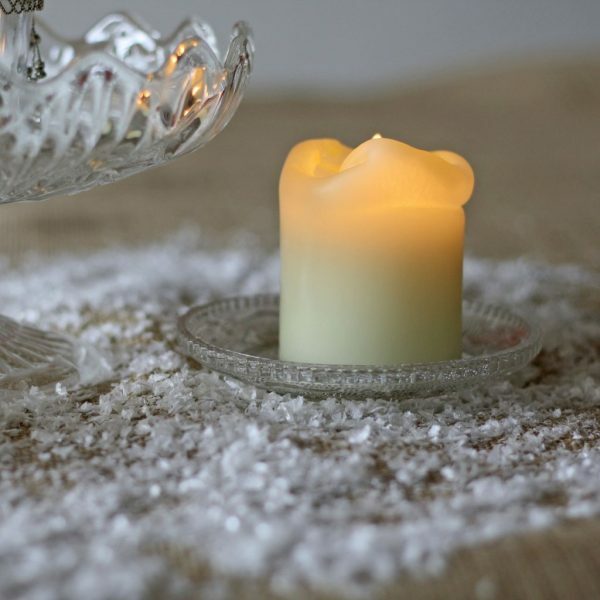 Planning a Christmas wedding theme? 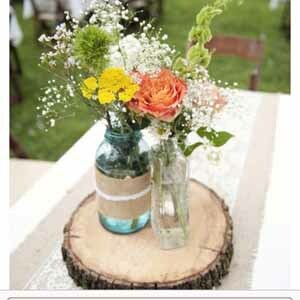 Then tinsel is a wedding confetti must-have! 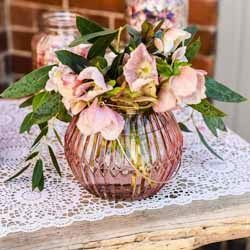 Strands of sparkly tinsel will be a fab alternative to traditional wedding confetti, and it’ll look beautiful in your wedding photographs. 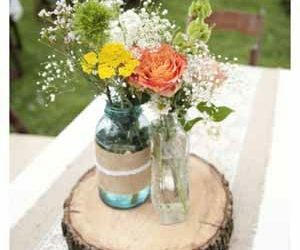 Opt for tinsel garlands to decorate your wedding venue and wedding chairs, so that your theme ties in together completely. 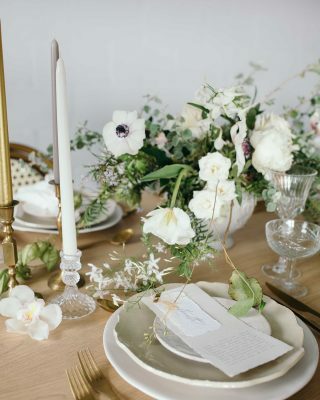 You don’t just have to use confetti at your Winter wedding. If you’re having your ceremony in the late afternoon or evening, why not use sparklers instead? Offer each guest a sparkler and light them as you leave your ceremony. Your guests can create an archway and wave the sparklers over you as you walk through it. 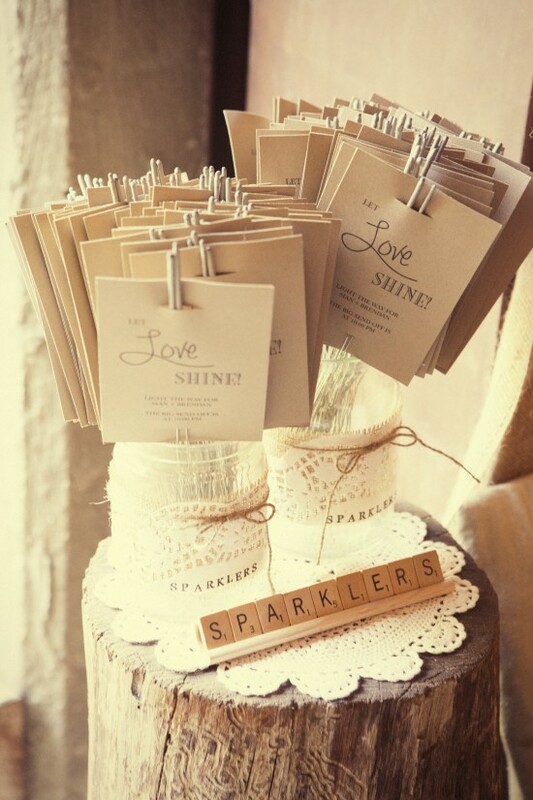 Sparklers work beautifully as wedding confetti if your ceremony takes place when it’s dark. It’s always worth double checking whether or not your wedding venue allows confetti. If your venue doesn’t, why not ask your guests to wave personalised mini flags during your confetti moment instead?